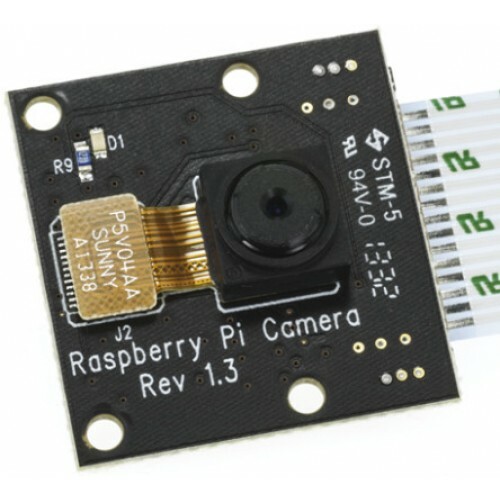 Pi NoIR High-Definition Infrared-sensitive video camera for Raspberry Pi Model A or B. The Pi NoIR camera is sensitive to short-wavelength IR radiation (around 880nm) produced by infrared emitting LEDs. It is not sensitive to long-wavelength IR radiation (heat) so requires a LED 'illuminator' to see in the dark. Blue filter for making an Infragram.